Progress Lighting Endorse Collection 1-Light wall lantern in black finish, features aluminum construction. A clear beveled glass panels shade brings elegance to the home. This traditional/classic style lantern uses one 9-Watt LED lamp. LED Lamp has voltage rating of 120-Volts. LED Lamp has color rendering index of 90 and color temperature rating of 3000K to ensure optimum light level in the surrounding. LED Lamp comes with 60000 hours average life span to ensure uninterrupted service. It measures 8-3/4-Inch x 14-3/4-Inch. 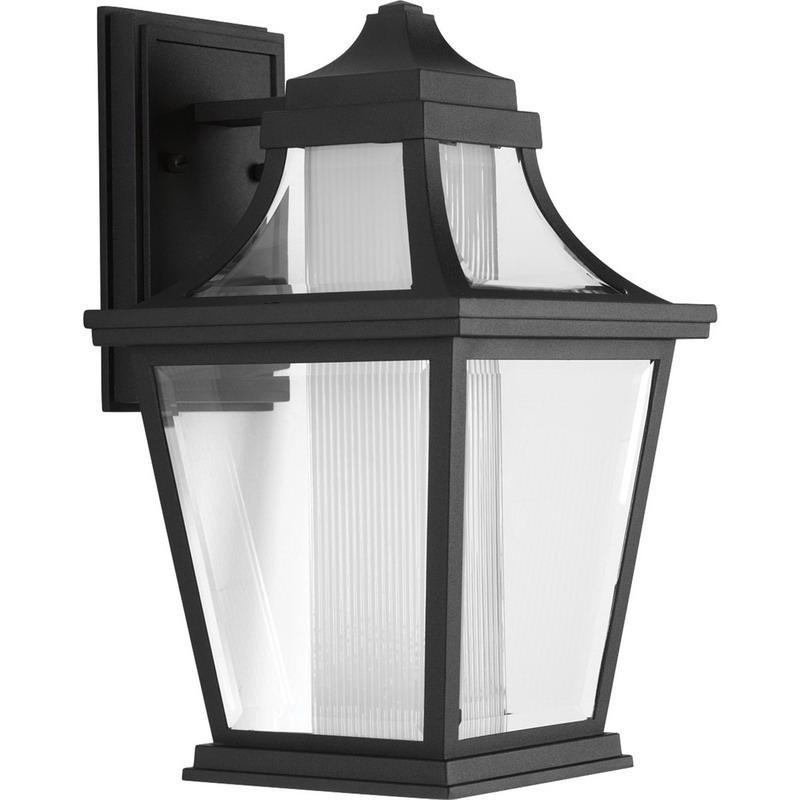 Wall mountable lantern is ideal for outdoor lighting. Lantern is cCSAus wet location listed, Energy Star qualified and FCC Title 47 compliant.